French: Jacamar des Andes; German: Kupferglanzvogel; Spanish: Jacamar Cobrizo. 9 in (23 cm) long. Heavier 2 in (51 mm) bill. 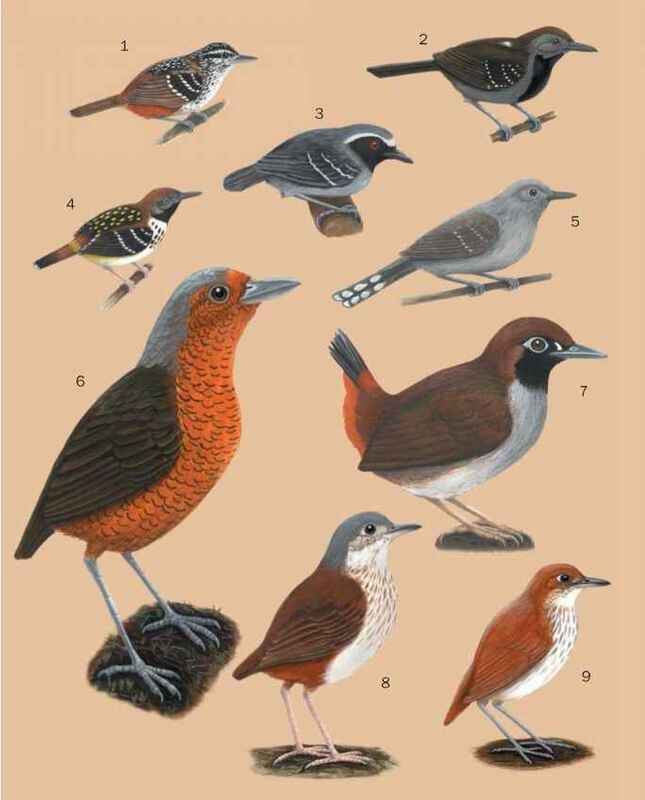 Metallic green upperparts, dark rufous throat, copper tail, distinctive yellowish orange eye ring. Colombia, Ecuador, and Amazonian Brazil. Lives in the highest forest elevation of all jacamar species. Alert hunter, similar to other jacamars. Gives a series of three to five loud calls. Diverse variety of flying insects. Prefers to hunt from one favorite perch, capturing insects as they fly through the air. Lays one to four white eggs in curved ground-hole nest cavity, so eggs are out of view. Incubation is 20-23 days. Chicks emerge from nest after 21-26 days, covered with white down. Both sexes incubate and care for chicks. Vulnerable; thin distribution, low population limited to a few locations, primarily in Colombia and the east slope of the Andes. Threatened by deforestation.